And Less Importance Is Being Given To The Eucharist." How is it that opponents of Garabandal can so easily dismiss the truth of the apparitions when they have been able to see for themselves the accurate foretelling of coming trends contained in the second Message delivered by St Michael on Our Lady's behalf, to Conchita on June 18, 1965? "Many Cardinals, Many Bishops And Many Priests Are On The Road To Perdition And Taking Many Souls With Them." Two points are worth making with regard to this statement. The first is that Conchita neither could nor would have made a statement like this on her own because of the profound respect she had for members of the hierarchy. The second point is the timing of the Message which came a few months before the last session of Vatican II. Was it a warning to those Fathers who had gone into the Council with their own agenda for sweeping change? "Less And Less Importance Is Being Given To The Eucharist." Here again is a statement that could not possibly be attributed to Conchita Gonzalez. How could she have known of this trend on her own when no one in the Church really recognised it as a problem? After the Council we saw an unprecedented dismantling of Eucharistic devotion whose effects are still with us today. But even before the Council, there was movement in this direction. In the 1952 edition of the traditional Mass missal, one finds an octave for the rest of Corpus Christi. 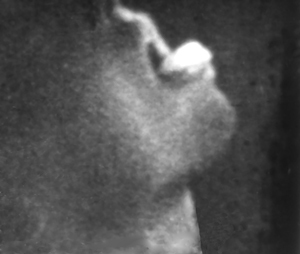 By 1961, the octave had been suppressed. The positioning of the statement that "Less And Less Importance Is Being Given To The Eucharist'' in the Message should not be overlooked. It comes right after the sentence regarding Cardinals, Bishops and Priests. The hierarchy is custodian of the Holy Eucharist. If the Church must undergo a trial by fire, one of the principal reasons might well be because of what has been allowed to happen to the Holy Eucharist. The very next sentence in the Message after reference to the downgrading of the Eucharist reads: "You Should Turn The Wrath Of God Away From Yourselves By Your Efforts." Gave The Third Message To Sister Agnes Sasagawa. "My Daughter, listen well to what I have to say to you. You will inform your superior." After a short silence: "As I told you, if men do not repent and better themselves, the Father will inflict a terrible punishment on all humanity. It will be a punishment greater than the deluge, such as one will never have seen before. Fire will fall from the sky and will wipe out a great part of humanity, the good as well as the bad, sparing neither Priests nor "faithful." "The survivors will find themselves so desolate that they will envy the dead. The only arms which will remain for you will be The Rosary and The Sign Left by My Son. Each day recite the Prayers of the Rosary. With the Rosary, Pray for the Pope, the Bishops and Priests." "The work of the devil will infiltrate even into the Church in such a way that one will see Cardinals opposing Cardinals, Bishops against Bishops. 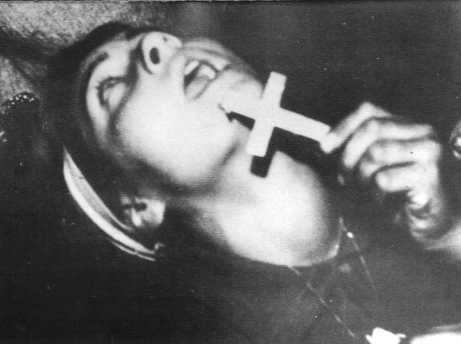 The Priests who Venerate Me will be scorned and opposed by their confreres (other Priests); churches and altars will be sacked; the Church will be full of those who accept compromises and the demon will press many Priests and Consecrated souls to leave the service of the Lord." 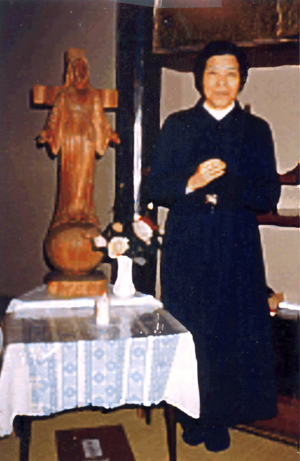 Bishop John Ito, on April 22, 1984, after eight years of investigating the Akita apparitions and after consulting with the Holy See (including Cardinal Ratzinger), approved the messages of Our Lady of Akita. 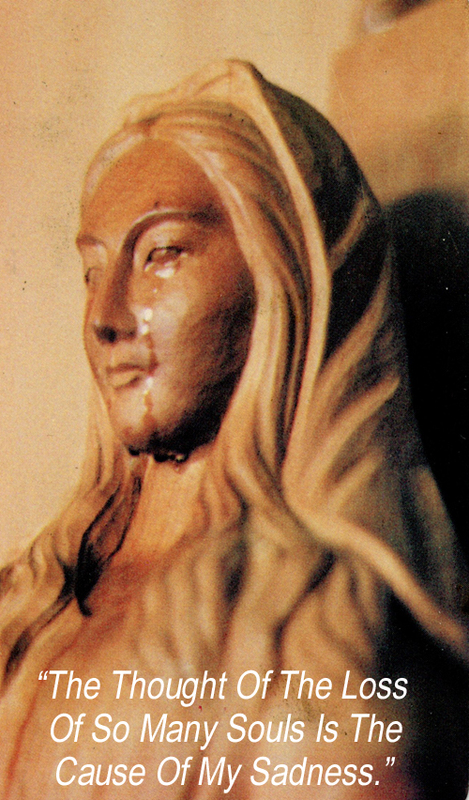 He authorised, throughout his Entire Diocese, the Veneration of our Holy Mother of Akita. A dossier was turned over to Cardinal Ratzinger at the Vatican who, after studying it for himself, reaffirmed that the events were credible and reliable and worthy of belief by all Catholics. Howard Dee, former Philippine Ambassador to the Vatican, said in a 1998 interview with Inside the Vatican magazine: "Bishop Ito (the local Bishop, now deceased) was certain Akita was an extension of Fatima, and Cardinal Ratzinger personally confirmed to me that these two messages, of Fatima and Akita, are essentially the same." Part of the Akita message reads: "The work of the devil will infiltrate even into the Church in such a way that one will see Cardinals opposing Cardinals, Bishops against Bishops."